But it’s all married men! For men, being in a relationship also encourages Omega watch purchases. Do wives encourage their husbands to live out the spy fantasy by buying and wearing the James Bond Seamaster watch? The average Seamaster wearer was born in October 1972 and is now aged 44. The Bond actor of his childhood was Roger Moore, but he’s familiar with all the Bond movies due to the films being played repeatedly on Bank Holidays for many decades. He’s less likely to have children, with only 48% having children compared with average 54% married men who have children. 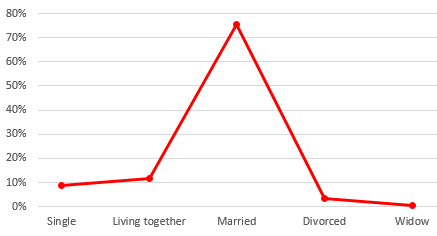 recent popular research into Rolex watch ownership in the UK, we were inspired to analyse our watch data again. 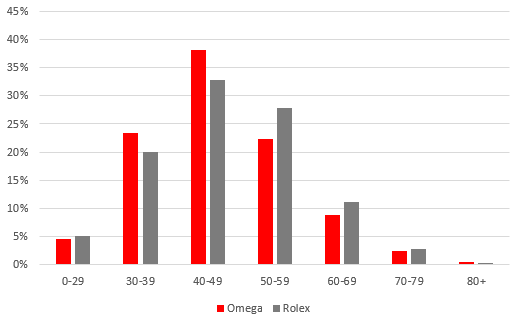 This time we have been looking at who owns Omega watches in an attempt to find out whether they live the high-flying but dangerous lifestyle aspired to by fans of the most famous British Omega watch wearer, James Bond. We will buy almost any pre-owned or vintage Omega watch model. Over the years we have bought and sold hundreds of Omega watches including Seamasters, Speedmasters, Constellations and Aqua Terras. We provide expert valuations that are both prompt and fair. You can take advantage of our free courier service to ensure the watch you intend to sell if delivered to us in the same condition it left you. Feel free to browse our current collection by clicking Watches For Sale above to see what we usually stock.